Ford has ditched the steering wheel, the accelerator and the break, as they prepare to unleash their fully-autonomous car, due on our roads by 2021. Set to be Ford's biggest game-changer since their revolutionary moving assembly line some 103 years ago, the brand has said that they will skip-over trying to keep up with Tesla's driver-assist technologies and instead focus solely on the goal of creating a fully-driverless car. Velodyne: A Silicon-Valley local, with industry-leading Light Detection and Ranging (LiDAR) sensor technology, that helps autonomous cars recognise other vehicles and obstacles on the road. SAIPS: A computer vision and machine learning company based in Israel, who will help Ford better understand artificial intelligence. Nirenberg Neuroscience LLC: A company who has brought sight back to those suffering from degenerative retina disease by developing technology that mimics the messages sent to the brain from the eyes. Ford will use their expertise to give their car's virtual driver system human-like intelligence to avoid collisions. 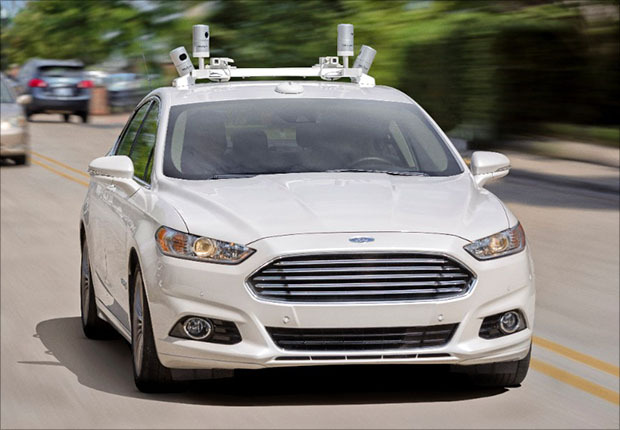 Civil Maps: A California-based company who will help Ford develop high-resolution 3D maps of the vehicles environment. Ford has said that the car will be ready to be introduced onto Australian roads in five years' time. However, Australian law currently states that all road vehicles must be directly controlled by a human driver (except in South Australia). Fingers crossed there will be some changes made before Ford's expected release date! Ford plans to initially release the vehicle to be used only by ride-hailing/sharing companies - although are yet to announce the details on who these companies are. Looking for a Ford, or another new car? Speak to a stratton consultant on 1300 787 288 or submit an online quote.